Most of the conventional doctors don’t believe that Chronic Fatigue Syndrome (CFS) exists as a disease and this reality is sad because CFS plagues a lot of people that even getting out of bed is impossible for them. 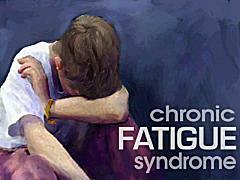 If they are correctly diagnosed having this disease, people with Chronic Fatigue Syndrome are often not cured properly. They are either given anti depressants for sleep and some exercise for energy. This is not proper according to alternative doctors as these two prescribed cures, anti depressants and exercise might actually cause more harm than good. They suspect that the core defect that underlies the disease is the defect in the energy furnaces around each cell which is the mitochondria. This is the part of the cell which is also called the powerhouse. Yes, do you still remember we all learned this in biology class in school? They produce the energy inside and if they are defective then it cause the Chronic Fatigue Syndrome. Alternative doctors would recommend addressing the cause of this defect inside the mitochondria to address the fatigue problem. The mitochondria need some elements to help them produce energy. They must be fed with magnesium and malic acid to help them convert glucose to ATP, or the chemical energy form formed inside the cells. You can buy these supplements from health stores and make sure to follow the dosage on the label. Another familiar supplement for me is coenzyme Q10, which I make sure that is available in my daily multivitamins. Not all multivitamins have this essential element so make sure you read the label. It would help if you take it with a small amount of fat from flaxseed oil to make it more absorbable. So think about if you also feel you have the similar situation when you wake up in the next morning? I have never encountered an M.D. who feels CFS or CFIDS do not exist; quite the contrary. Regardless, when I was first diagnosed with the disease in 1995, I refused to accept the medical doctor’s information of “there is no cure.” Not only is there a cure, but the symptoms can be calmed and treated while the cure is being implemented…all without dangerous pharmaceutical drugs. I wanted to kill myself many times, or did not care if I died while I was suffering from that wretched disease. You can check out my story, and learn how to heal and be free of that nightmare by clicking on the links below to my Blogsite. Thanks for your comments. I really appreciate it.